Strengthening of international security will be one of the main topics on the agenda of the annual International Parliamentary Forum, said Leonid Slutsky, Chairman of the State Duma Committee for International Affairs, during a press conference following a round table with more than 50 speakers from all over the world. “The work of the roundtable was devoted to cooperation in the sphere of legislative harmonization, to confront global challenges and threats,” the session moderator said. Such challenges, according to delegates of the International Parliamentary Forum, include wars in cyberspace, drug trafficking and international terrorism. 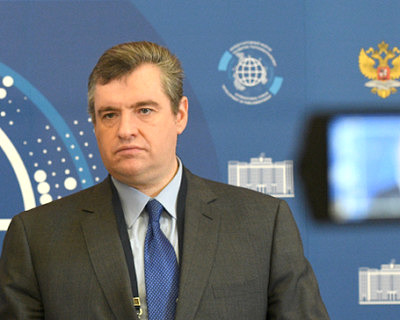 “The international forum will henceforth be an annual one, and one of its stem topics will be issues of international security and cooperation of parliamentarians in the interests of building a peaceful and safe architecture of the 20th century,” the Russian parliamentarian shared. The chairman of the Supervisory Board of the Maastricht School of Management, former PACE President René van der Linden, co-moderator of the round table on strengthening international security within the framework of the International Forum on the Development of Parliamentarism. During the term of office of the head of the Parliamentary Assembly of the Council of Europe (2005-2008), he consistently defended the position of constructive cooperation with Russia. Today, Van der Linden stands for the lifting of sanctions from our country and the return of Russia’s membership in the PACE.